Free & open to the public – registration required. 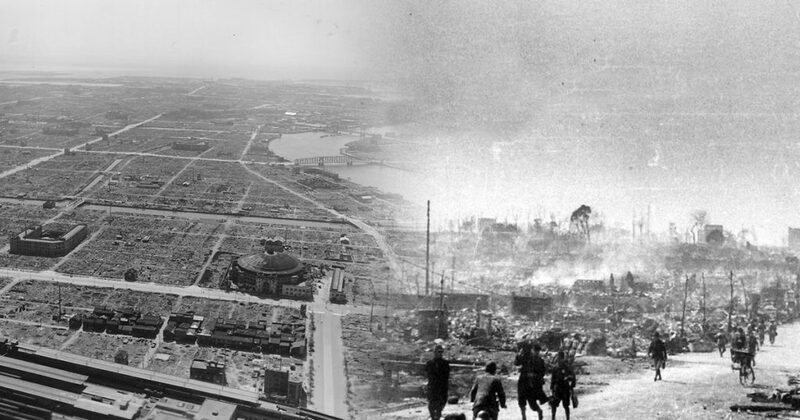 In the aftermath of World War II, the city of Tokyo lay in a state of devastation. The capital of what had once been a massive overseas empire was reduced to ruins by the unrelenting Allied aerial bombardment and now faced occupation by a foreign military power for the first time in the nation’s history. At the same time, the city was also the site of a remarkable efflorescence of literature and culture in the immediate postwar period, as intellectuals and artists, many of them returning to the city from the countryside or from overseas territories, grappled with a simultaneous sense of immense loss and hopeful visions of the future. This talk examines ways in which the city of Tokyo—as both a material site and as a space of representation—shaped one of the most productive periods in modern cultural history. It focuses in particular on Tokyo’s materialization of a core contradiction underlying the experience of this historical moment: the city embodied on the one hand a sense of radical historical rupture, while, at the same time, it also framed the spectral return of the imperial past, which haunted the reconstruction of the city and the nation in the years after the war. The talk will examine a number of recurrent themes and images in literature and popular culture, including representations of the capital in ruins, the city under occupation, and the cultural space of the black markets. Seiji M. Lippit teaches modern Japanese literature and culture at UCLA. 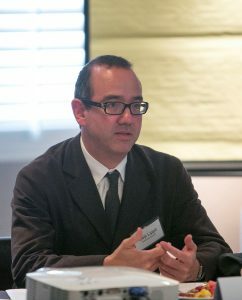 His research examines the intersections of modernism, mass culture, urban space, and minority literature, with a recent focus on representations of decolonization, occupation, and the transformation of national consciousness in postwar Japan. His publications include Topographies of Japanese Modernism (Columbia UP, 2002), an examination of modernist fiction in 1920s and 30s Japan, as well as the edited volume The Essential Akutagawa (Marsilio, 1999), an anthology of writings by the celebrated writer Akutagawa Ryūnosuke. He also edited the translation of contemporary philosopher and cultural critic Kojin Karatani’s History and Repetition (Columbia UP, 2011). He is currently completing a book project on the cultures of decolonization in Tokyo in the wake of empire’s collapse.